UPDATE SEPT 17: Curriculum Night, the Scholastic Book Fair and extracurricular sports and club activities at Bowmore have been postponed due to the decision by teachers to withdraw from extracurricular activities at this time. School administration and Council will advise you when we have more details about when these activities will resume. Curriculum Night is a chance to meet your child’s teacher, visit the classroom and get a feel for what your child’s school experience is like. For families with more than one child enrolled, the evening into two waves of presentations, following a welcome and introduction in the senior gym. A Scholastic Book Sale happens the same evening, with proceeds supporting the school library and with wish lists of books for your child’s classroom. Check the upcoming Bowmore Newsletter (coming soon) for more details regarding the schedule and evening program. Don’t worry about cooking dinner that night! 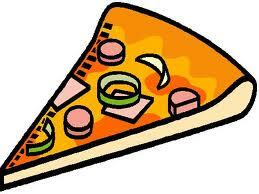 School Council will sell pizza that night for a modest cost, in support of enrichment programs at Bowmore. We hope that this will make it easier for your family to fit dinner into a hectic evening. To make this possible, we need volunteers to help manage the pizza sales table. Even 30 minutes would help! To pitch in at the pizza sales table, please email us at bowmoresc@gmail.com .